Tagged under Shinichiro Otsuka, White Fox, Light Novel, Series. Interesting^^ Crusch & Rem are the series' best girls for me. Surprisingly really, really great series & possibly the best of one of summer 2016 if it keeps it up all the way through to the end. Everything, from the music, to character design to the atmosphere of the show as a whole is great. Hopefully get a S2, but until then will be reading the Light Novel. WTF. Why is this show so good. It sneaks up on you with this brilliant writing. It's not fair. It's just not fair that this light novel/anime exist. I love Berserk and God Kentaro's writing but this show is proving to be up there. It's destroys every light novel out there in quality and it stole two anime season (and this aired the same season Academia aired). I don't think any light novel will ever go better than this show. 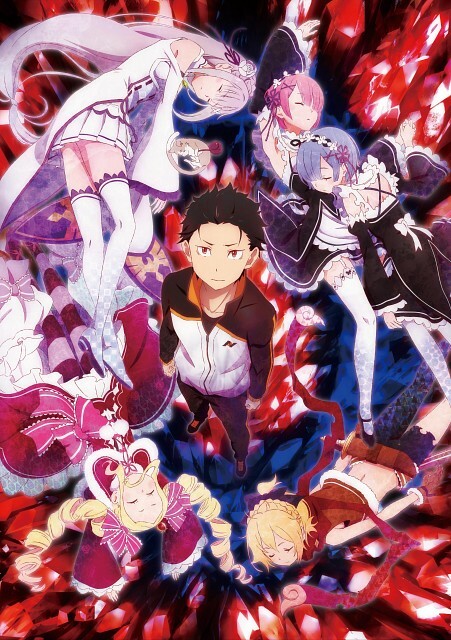 Subaru is the best main character I've seen in a while. Rem is best girl of this year. Emilia, she aight~. Every episode makes you wish it was an hour long because you don't to hear that ending song play. EVERYTIME, I hate hearing that ending because those cliffhangers is bad for your health.